A better play would be about going back in time to slit Karl Marx’s throat. I’m looking forward to the taxpayer-funded play imagining going back in time to assassinate Karl Marx. Even better would be going back in time and dispatching Mohammed in his youth. Or going back in time and killing Obama’s mother. I’ll get Arnold on that right away. NEA - Time for them to go! A better one would be going back in time and catching MLK in the act of plagiarizing his PhD thesis. If Columbus hadn’t discovered it someone else eventually would. It would have given the Indians more time to kill one another. I get tired of hearing all the crap about how the Indians were so peaceful and loving. They were not much different than other cultures. Loved their own and killed other tribes. The founder of my college, Dr. Warren Carroll, was a historian and an active member of the group trying to get Columbus canonized. The goofs would not have liked him. 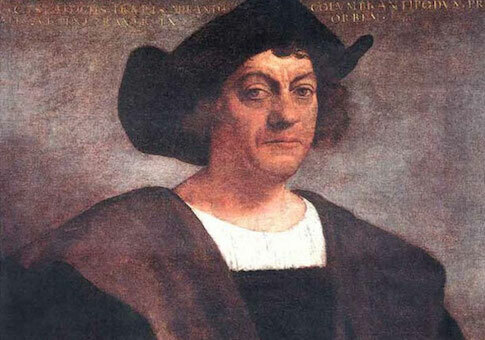 Columbus was a contractor for the Hispanic conquest of the Americas. This aggrieved group will have to take up their grievance with that aggrieved group. They can then compare grievances. The NEA needs to go away. Had American aborigines the political organization and ships, they would just as naturally have attempted the conquest of Europe. This latest bit is just more primitivism. Arizonans are Arizonans and Americans, NOT citizens of the world!!!! Had there been no Colmunbus, do folks really believe America would have lain undiscovered and unexploited by Europeans forever after? Why don’t we kill off Karl Marx instead?